A new ski resort is under construction in a northern province bordering China, backed by snow-making machines, nearly three years after North Korea opened its flagship Masikryong ski resort, one of leader Kim Jong-un's pet projects. 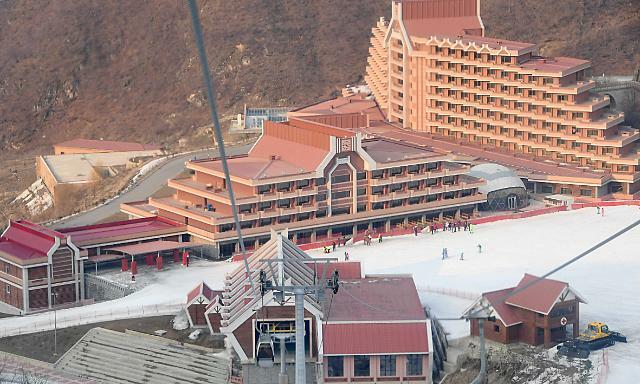 Construction of the new ski resort is under way in Kanggye, the capital of Chagang Province, according to the Rodong Sinmun, the newspaper of the North's ruling Workers' Party of Korea. It's the North's second ski resort project after Masikryong that opened in January 2014. The newspaper indicated the Kanggye resort would be smaller than Masikryong but it would have a reservoir for snowmaking. The Masikryong resort at the summit of a 1,360-meter peak near the northeastern port city of Wonsan was part of Kim's drive to attract more foreign tourists.